Levy Custom Orthotics have set the standard in the orthotics industry for over seventy-seven years and we intend to continue that tradition for a long time to come. 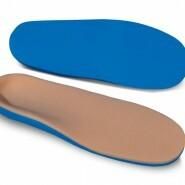 Our orthotic products are all 100% made in the USA in our New Jersey facility. 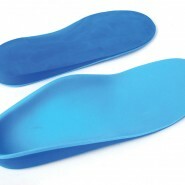 Levy Diabetic full contact diabetic inserts are 100% manufactured using cast or foam impressions. The base layer is made of 35 durometer EVA for balance and support. The top cover is a soft 3/16” Plastazote layer for complete protection and comfort. All Levy Diabetic inserts are designed and manufactured in 3–5 days. 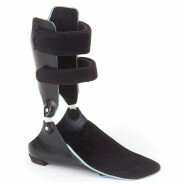 The LevyDynamic is manufactured with double Velcro straps, full custom uprights and a custom functional foot orthotic base. The custom footplate can be trimmed to met head, sulcus or full length. The device can be ordered with dorsi-assist or free motion Tamarack ankle joints to treat a variety of pathologies of the foot and ankle. All modifications and accommodations are included at no extra charge. The LevyAFO features hand made molded leather gauntlets built with high quality materials and superior craftsmanship. The total contact support provided by the molded leather gauntlet increases hydrostatic pressure that stabilizes support to bony structures. 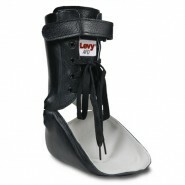 The LevyAFO’s provide the ultimate in control of the Subtalar, Talocrural, Talonavicular, and Midtarsal joints. Each style is available in four colors with many additional options and modifications to fit diverse patient care needs. After careful examination of the foot, mark all areas that will require modifications with an indelible pencil. This will be transferred to the LevyFoam impression to provide us with more information. In addition, you may draw a line bisecting the calcaneus so that we will have a reference line called ‘Neutral’.